Oliver Franks was a key figure in the planning and implementation of Britain’s recovery after the Second World War. He enjoyed close working relations with Winston Churchill and Clement Atlee and was invited, in 1947, by Ernest Bevin to head the British Delegation at the European discussions of the Marshall Plan. From 1948-52, as British Ambassador in Washington, he greatly strengthened the relationship between the two countries. He negotiated the Atlantic pact (later the north Atlantic treaty and then the North Atlantic Treaty Organization, NATO), signed in April 1949. Post Washington he became chair of Lloyds Bank, the largest of the London clearing houses (1954-62) and then re-entered academic life. "The Establishment smites the Establishment". From the mid 1950s he was often called upon by the government of the day to chair or play a major part in important public inquiries: administrative tribunals and inquiries (1955-57); the working of the monetary system (1957-59); on the development of India and Pakistan (1960); British business schools (1963); Oxford University (1964-66); section 2 of the Official Secrets Act of 1911 (1971-72); the Committee of London Clearing Bankers (1974); a register of immigrants' dependants (1976); and the British Government's conduct of the Falklands War (1982-83). He was appointed a CBE (1942), a KCB (1946), and a GCMG (1952). He was made a life peer (1962) as Baron Franks, of Headington in the County of Oxford and received the Order of Merit in 1977. Born 6 February 1905, Birmingham, England. Oliver Shewell Franks, Baron Franks (1905-1992) was Professor of Moral Philosophy at the University from 1937 until 1946. Born in Selly Oak, Franks studied Classics at Queen's College, Oxford where he was recognised as an outstanding student and graduated with a first in 1927. He became a Fellow at Queen's, travelled in Europe and returned to Oxford to work as a tutor from 1935 until his appointment to the Chair in Glasgow. The new Professor had little time to make his mark at the University, as he worked in the Ministry of Supply throughout the Second World War and became Permanent Secretary in 1945. In 1946 he was appointed KCB and left Glasgow to become Provost of Queen's College, Oxford. Franks went on to have a glittering career as a public servant (including spells as British Ambassador to the USA and service on committees such as those on the Official Secrets Act and Political Honours Scrutiny) and is best known for leading the inquiry in 1982-1983 into the British Government's conduct of the Falklands War. He also joined the boards of many leading British companies. 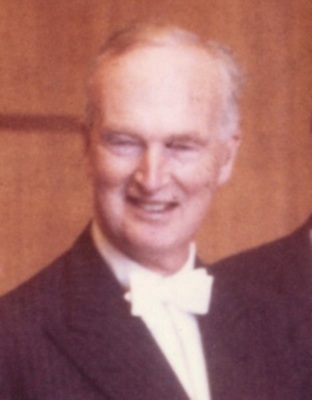 He was created a life peer in 1962 and was Provost of Worcester College, Oxford, from 1962 to 1976; Chancellor of the University of East Anglia, 1965 to 1984, and Lord Warden of the Stannaries and Keeper of the Privy Seal of the Duke of Cornwall, 1983 to 1985. Danchev, Alex. 2004. 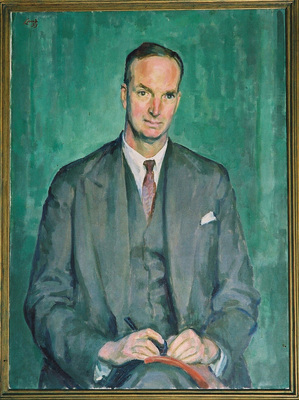 Franks, Oliver Shewell, Baron Franks (1905–1992). Oxford Dictionary of National Biography. Franks, O. 1983. Falkland Islands Review. London: HMSO. Oliver Franks prepared the "scheme for the comprehensive restoration of the economy of Europe" - the Marshall Plan. Oliver Franks negotiated the Atlantic Treaty on behalf of the UK and was the guarantor of the treaty on the European side. Oliver Franks chaired the official enquiry into the Falklands War, the Falklands Islands Review being published in January 1983. World Changing Project, "Lasting significance in political philosophy and strategy," in University of Glasgow World Changing (University of Glasgow, 2010); http://www.worldchanging.glasgow.ac.uk/article/?id=49 (accessed April 26, 2019). World Changing Project. "Lasting significance in political philosophy and strategy." In University of Glasgow World Changing. University of Glasgow, 2010. http://www.worldchanging.glasgow.ac.uk/article/?id=49 (accessed April 26, 2019). World Changing Project. "Lasting significance in political philosophy and strategy." University of Glasgow World Changing. University of Glasgow, 2010. 26 April 2019 <http://www.worldchanging.glasgow.ac.uk/article/?id=49>.